The Northwest NeuroNeighborhood is dedicated to fostering the development of our emerging Neuro-related cluster in the Northwest. 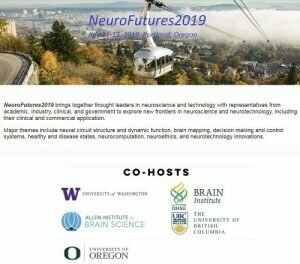 Our first meeting was on August 22, 2012, which was a gathering of local neuroindustry executives to share ideas about the breadth of local activity in neuro- science, biotech, devices, finance, medicine, law, and advocacy. That first meeting led to a regional membership directory, several follow up Steering Committee Meetings, recruitment of sponsors and a Board of Directors, and work on the Mission and Vision as follows.